You want to be dressed to impress, put on a natural, clean look that portrays who you are, but also signifies that you’re the one and only for the job. That’s where we come into play to lend a helping hand. Your job interview is an extremely stressful endeavor, and you’ve got to keep your cool. If you’re going in for the kill, you need to be dressed sharp as a tack. These are ten core tips on the most well-practiced and proven etiquette to maintain your appearance during a job interview and leave a great first impression. Walk in, own the place in a professional and respectable manner, and walk out like a champion, full of confidence, with your head held high. We’re getting you that job, my friend, so let’s jump into everything you need to know. We want to get that out in the open straight away. If you overdress, you’re going to look like Will Ferrell and John C. Reiley in that job interview scene from Step Brothers. We trust you enough to not wear a tuxedo to a retail sales position interview, but you get the point. Overdressing is a huge killer, and in some cases, depending on the job, it can make the manager or head of HR feel as if they’re not dressed well enough, intimidating them. That’s not what you want to go for. The interviewer still needs to feel like they’re the puppet master and you’re vying for this job, even though you can never let them see how badly you want the job. You go in, say your piece, and emerge in the proper attire for the position you applied for. That final point can’t be stressed enough: dress for the position you’re applying for. In our troubled economy, sometimes you have to opt for a lower-level job than what you want. Even if your resume is decked out with VP positions and six-figure incomes, don’t dress for those jobs if you’re getting a temporary position at a local place in the meantime. This works for suits, for polos and more casual interviews as well. You don’t want to wear vibrant, primary colors to your job interview. It immediately sets up a negative view before you even sit down. You’re going to want to keep to some basics for a few reasons. Stay with black, gray, dark navy or steel blue. Not only are all of those colors slimming, but they’re going to make it look like you know your worth, you’ve prepared for this interview, and you have everything covered. While it’s a well-known male fashion staple that blacks, grays and blues are the best choices, some gents let that little trick fly right over their heads. If you’re going for a high-paying, high-powered position, then you’re going to run into much simpler times when it comes to accessories. It’s far easier to assign a watch to a neutral suit or polo than it is to make it work with a vibrant ensemble. You think we’re kidding? You can dress up anything in a nice suit. Hell, you could even go to Suitsupply, get a really nice fitted piece, and walk into your interview. However, your personal hygiene and daily skin care routine is another story. When you’re rocking the threads, you’ll also have to keep everything under control in the face region. This sort of covers all of the personal hygiene for our tips on this list: kempt nails, use face moisturizer to repair any damage to your skin and prune your facial and nose hair. Make sure you get yourself a proper safety razor. You’re able to spot a well-dressed gentleman who’s just strolled through the front door for his job interview, but a guy who happened to throw on a suit, he’s much easier to spot. If you’re not putting in full effort everywhere, then the care and dedication you’ve thrown into your threads are completely lost. The interviewer will notice messy hair, facial hair, untweezed unibrow regions, and everything of the sort. Pleated pants have their time and place, but neither of those is at your job interview. We’re not putting down gents who had to grab a suit from Goodwill in order to walk into the interview but do know that it does bring down your look. Pleated pants have died out with the rise of personal fitness in recent years. 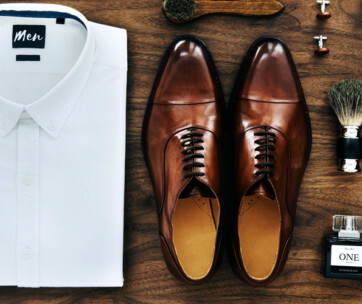 You can have fitted clothes that look fantastic, show off your body (in a professional manner), and that all shows that you pay attention to detail. It’s been proven that wearing a watch not only adds another dimension to your attire (which is very aesthetically pleasing and professional), but it actually brings forth this apparatus of responsibility. You look like you have it together, appear more adult and in control, and it never hurts to add some serious swag points to your interview attire. You can dress up or dress them down with the right outfit; you don’t just need to match a watch with a suit, you can mix and match with multiple clothing options. Slightly more casual position? Dark jeans, dress shirt no tie, nylon band watch with a stainless steel case. Moving up the ladder? 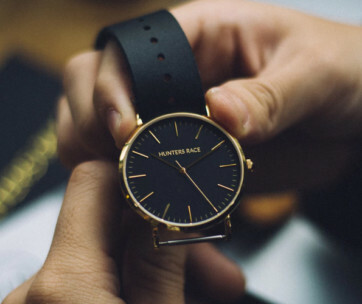 Rose gold case, dark leather strap (which goes wonderfully with a wedding band), and so on. You’re making the watch flow with the outfit, not the other way around. If you’re using a hair gel or a mousse, you have to stop it. For the sake of your interview, cut that nonsense out. Gel and mousse leave a shiny gloss no matter what, and it doesn’t paint a proper image when you’re trying to land a job. You want a matte finish, or absolutely no look to it at all (apart from being styled). That’s when you need to throw in a pomade or a hair clay instead. These hold longer throughout the day, keep your style the way you actually positioned it, and are reworkable throughout the day. It isn’t just about the threads, you have a ton of different things to keep in mind. Hygiene and kempt facial hair are in the bag, so now give that head of hair a little bit of TLC. While we’re on the subject, don’t get a haircut the day of or the day before your interview. Even if you have the best hair stylist in the world, you’re going to look better walking out of the barbershop or salon than you will look styling it yourself the next day. Knowing that brings your confidence down just a spell, so let’s avoid that altogether, shall we? That worn out scratched leather belt is not going to paint you in the right light. 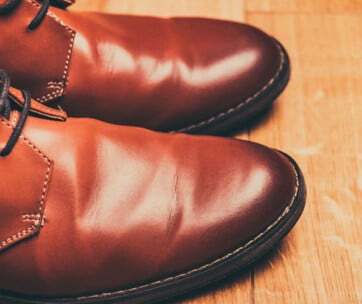 If you’ve lost weight and had to put in your own holes in the leather belt, or if it’s just years old and there’s cracking and fade lines along the leather, you’re going to look highly unprofessional. Your belt and shoes blend together to frame your legs and torso separately, especially when you’re wearing a suit of the same colors; you need that monotony to be broken up a little bit. Grabbing a new belt also makes you feel a bit more like a boss walking through the door. It’s a bit tighter than the stretched-out belt and reminds you to keep good posture. Maintaining an excellent posture during your interview is a subtle and silent way to showcase that you’re listening fully, and they have your full attention. You ever saw a TV show where a guy’s sitting across from his girl, and he’s all slouched and clearly not listening? Exactly. So stick that spine straight up, let that belt keep you in check. When you go to rise after the interview, you’ll stand and shake hands, and when you rise that’s when they’re really going to get a good shot of the belt. Make sure it’s crisp, clean and fade-free. We’re going for a clean look, a blank slate that this company can look at and mold to their liking (or so we’d have them believe). Even if you’re allowed to rock a polo and chinos to this interview, don’t put on anything with a floral pattern, no horizontal lines, keep it nice and clean. It’s a little too footloose and fancy-free for what we’re going for. Alternatively, if you’re wearing a suit to your interview, you can get some vertical lines going. Some nice pinstripes help to slim you, so long as they’re thin. Stay away from broad pinstripes, otherwise, you end up looking like you walked off a Miami beach in 1979 and you’re headed to see Scarface. Last but not least on this subject, if you do go with some pinstripes, you don’t want them to be horribly contrasting to your shirt’s main color. Don’t get subtle red pinstripes on a gray shirt, things of that nature. They should be a lighter or darker shade of the shirt’s main color. Being your wedding band. If you’re not married, it’s still cool to have something in its place, but I want to stress the fact that having chains, bracelets or multiple rings might be cool and part of your personal style, but it’s not going to fare well at your interview. That being said, you can absolutely be real with the interviewer when all is said and done. They’ll give you an answer, and you’ll either rock your silver and gold the first day of work, or you’ll keep it at home in your walk-in. This shows them that not only do you know how to dress for work, but you understand that their company’s policy might look poorly on someone who’s a little “blinged out” since you’re representing their brand and image. It’s considerate, and you’re not afraid to ask questions and live up to the expectations of the position. Professional as can be. Please, gentlemen. Understand that your socks are visible and they do impact your interview ensemble. 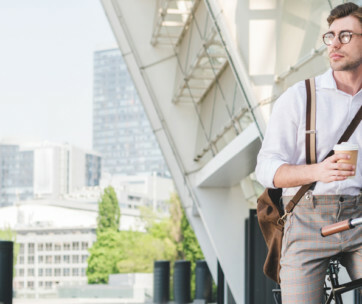 We all enjoy some comfortable Hanes socks on a run or simply wearing our trainers around town on a Sunday, but it’s not doing you any favors when you’re trying to remain professional and you’re looking to get hired. It just doesn’t work. If you’re going for a more casual look and you’re not required to wear a suit, at least put on some compression socks to give the appearance of dress socks. For your suit, get some solid-colored dress socks, nothing with funky patterns. It will get noticed, and it does matter, guys. Dress to impress, shoot to kill, and utilize every tool at your disposal to ensure that you hit the nail on the head the first time around. Sharp, focused, confident but not cocky: you’re in, you just need that confirmation phone call (or the second interview to take place), and we’ll have you dropped into your career of choice with a prime company in no time. If you’ve enjoyed this guide, be sure to share it on Facebook to let your mates know what’s up, and keep your wolf pack in the green.